In this combination of online theory training and a 15-minute in-person practical assessment*, this Fall Protection training course covers the basics of fall arrest, travel restraint and work positioning, including fall protection definitions, components, fall calculations, equipment maintenance and rescue planning. 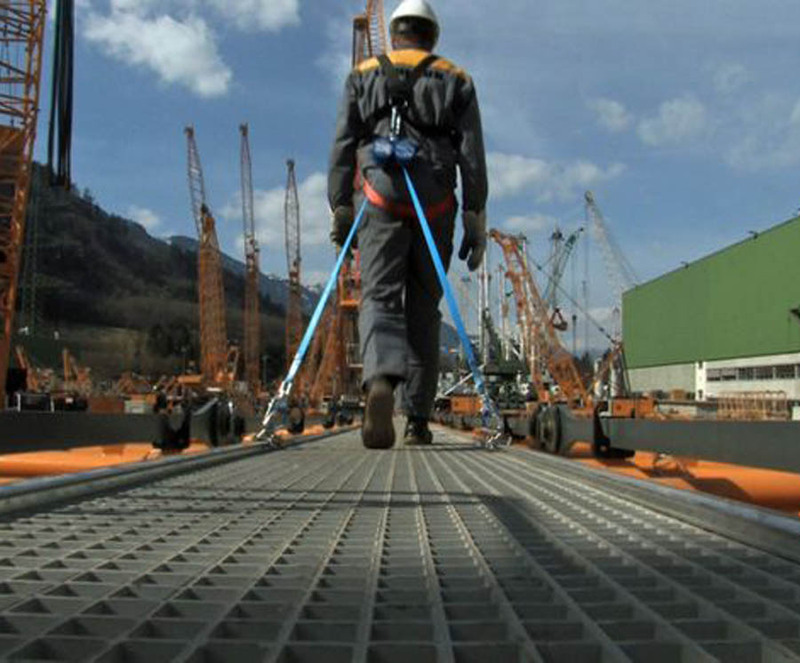 The course discusses the theoretical and practical aspects of using fall protection equipment for multiple industries. The online theory can be taken anytime from the comfort of your home or office. The online course is approximately 90 minutes long and participants must get a mark of 80% to pass. Participants may repeat the course two more times if a passing mark has not been achieved. * The online portion of the training MUST be completed BEFORE attending the in-person practical assessment. The practical component for Fall Protection can be completed in conjunction with the Aerial Lift Training practical assessment if applicable. You may take the 15 minute practical component of this course on the same morning or afternoon that you book Aerial Lift Training. Participants are required to complete the online portion prior to attending the in-person practical assessment. The in-person practical must be completed within 6 months of the completion of the online theory. Failure to do so will require additional training and/or fees. Please arrive 15 mins before the class start time. If you arrive after the class start time, you will not be allowed to participate and will be assessed a rebooking fee of $75.00 plus GST to reschedule. – DON’T wear shorts, sleeveless shirts, skirts and/or dresses. These are not permitted at any time. To view available dates for this course you must be logged in to your STAR account. If you’re a new user, please click here to create your profile. Read our cancellation policy here.